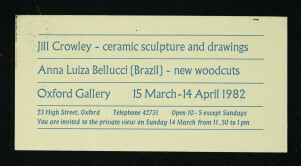 Oxford Gallery was established in 1968 by potter and industrial designer Joan Crossley-Holland (1912 – 2005). 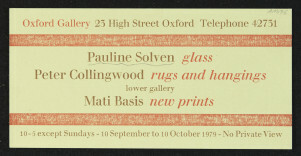 During her 18-year directorship (1968 - 1986), the Gallery played a pioneering role in the exhibition and sale of contemporary British craft. 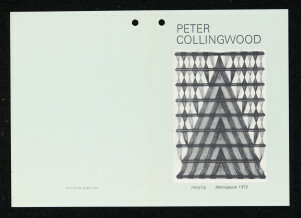 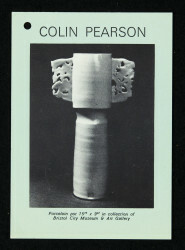 An ambitious exhibition programme saw 187 exhibitions mounted under Crossley-Holland's leadership, showcasing the work of Britain's leading ceramicists including Lucie Rie, Bernard Leach, Gordon Baldwin, Jacqueline Poncelet, Colin Pearson and Joanna Constantinidis; jewellers Susanna Heron, Caroline Broadhead, Jacqueline Mina and Wendy Ramshaw; textile artists Peter Collingwood and Noel Dyrenforth. 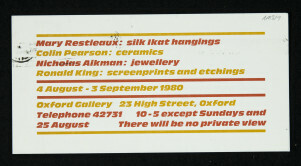 The Gallery occupied 23 High Street, Oxford, until 2001. 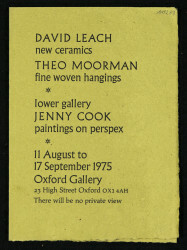 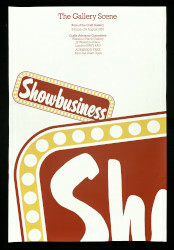 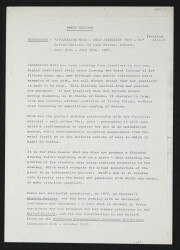 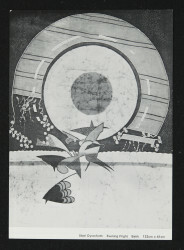 In 1976, Oxford Gallery was invited to present a selection of objects at the Crafts Advisory Committee exhibition 'Showbusiness, The Gallery Scene: Role of the Craft Gallery' held at Waterloo Place Gallery.